It’s a descriptor for something so awe-inspiring, so moving that an encounter doesn’t just capture our imagination and our emotions, it elicits a physical response. 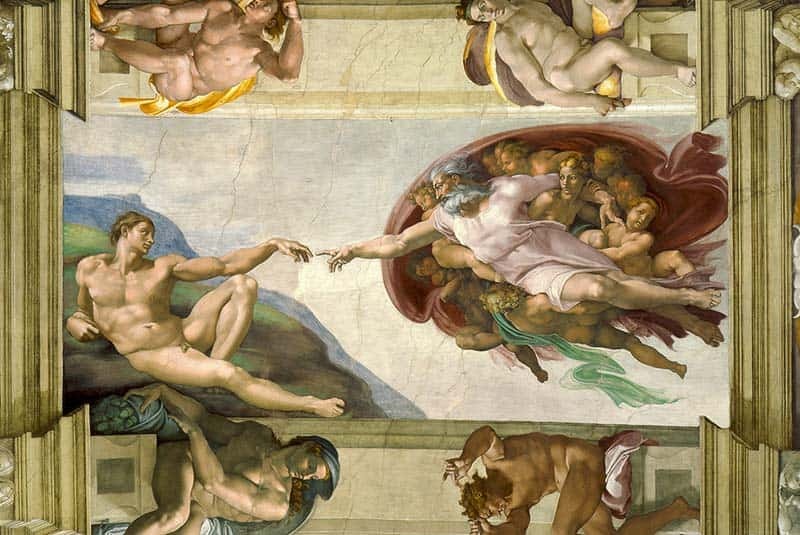 It’s a common reaction among the millions of people who visit the Sistine Chapel each year, where Michelangelo’s frescoes on the chapel’s ceiling depicting several Old Testament scenes (most famously, the “Creation of Adam”) are among the most recognizable and significant works of art in the world. They at once capture the imagination and contextualize faith and humanity in ways so powerful and moving that for many, an actual physiological reaction is warranted. Breath is taken away. Michelangelo painted “Creation of Adam” on the ceiling of the Sistine Chapel in the 16th century. Several years ago, there was a sense that perhaps the Vatican Museums were becoming victims of their own success. The number of annual visitors was soaring ever higher, and as they passed through the galleries and the sacred Chapel, they brought with them dust from the outside. They also raised the temperature with their collective body heat and they did something else quite natural and necessary, but also potentially harmful: They breathed. The dirt, heat, humidity and carbon dioxide was rising to the ceiling where it settled on the paintings, threatening to degrade their appearance over a period of many years if the problem wasn’t addressed. In 2014, U.S.-based Carrier Corp. donated and installed a new ventilation system that would channel air — and the pollutants it carried — away from the artwork on the walls and ceiling. Breathtaking in the literal sense, you might say. It was a solution with an immediate impact: The Vatican had mulled limiting the number of people allowed into the Sistine Chapel if a resolution was not found, or even creating some kind of virtual experience wherein visitors would see “Creation of Adam” in pixels, not paint. Not exactly something worth waiting in line for. Instead, the 6 million annual visitors can continue to view the works in their (climate-controlled) natural state. Sophia Bevacqua ’17 serves as a fellow at the Vatican Museums, working on preserving and restoring the site’s vast collections. She describes the opportunity as the result of a healthy amount of serendipity. It started as a research assistant job for art history professor Heather Hyde Minor, who was appointed academic director of the Rome Global Gateway last year. Almost immediately thereafter, she heard about the opportunity at the Vatican from a friend. The timing was indeed serendipitous, but as is often the case, good fortune was the result of hard work and experience. Bevacqua was no stranger to museum work, with stints at Notre Dame’s Snite Museum and also an internship at the Dulwich Picture Gallery in London, which she completed while studying at Notre Dame’s London Global Gateway. Bevacqua works with the Vatican Museums’ restoration laboratories to determine which works of art will be restored, which methods will be used to do the work and how much each project will cost. “I’ve learned to discuss art with a wider audience beyond the academic one,” she says. “This discussion that you have with the museum-goer, be it a written discussion or one that is developed in a curriculum, is the most important part because it facilitates the connection with the work of art that the viewer may take with them when they leave the museum. 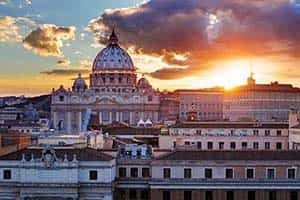 Rome, it goes without saying, is the perfect setting for considering the intersection of art, culture and civilization. Consider the statue group Laocoön and His Sons, believed to have been completed in 40-30 B.C. and unearthed in Rome in 1506. It depicts the fate suffered by Laocoön, a priest of Apollo during the Trojan War. He warned his countrymen not to accept the horse offered by the Greeks, which earned him the ire of the gods Athena and Poseidon. The gods sent sea serpents to kill the priest and his sons. The episode was said to be a deciding factor in the decision of Aeneas to flee to Italy; according to tradition, generations later his bloodline would include Romulus and Remus, the founders of Rome. 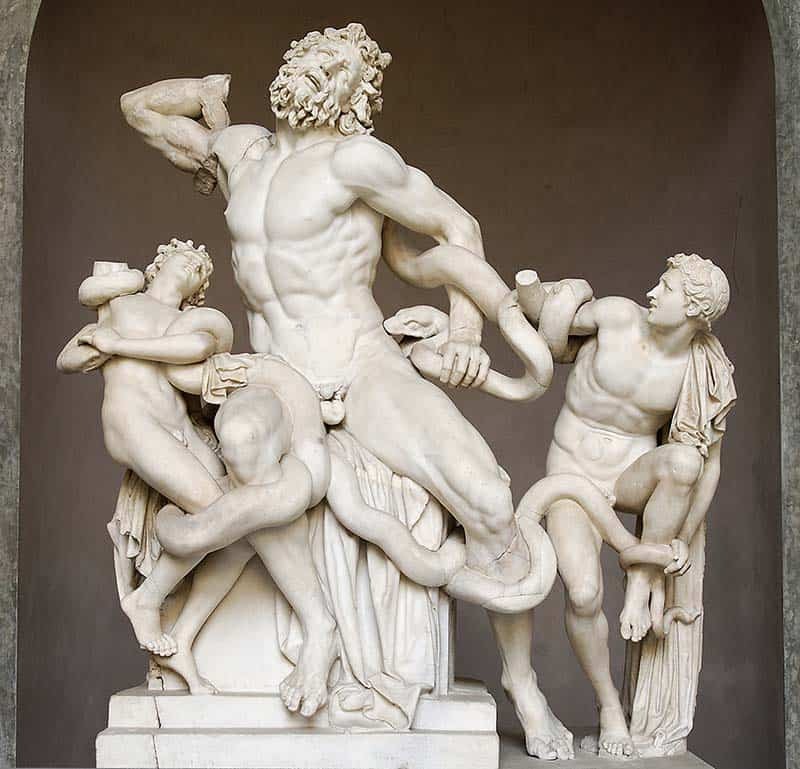 Laocoön and His Sons was the first of a collection of statues put on display at the Vatican. The statue group has undergone a series of restorations over the centuries. When it was discovered, Laocoön’s right arm was missing. Debate ensued over exactly what form a replacement arm should take: Michelangelo believed the arm should be bent back, so as to depict Laocoön attempting to remove the serpent. Other voices prevailed, however, and an outstretched arm — believed to depict a more heroic gesture — was added. Fast-forward to 1906, when the real arm was discovered in a building yard near where the original sculpture was unearthed. It was indeed bent back, as Michelangelo suggested. The original arm soon replaced the outstretched imposter, and years later in 1980, the entire statue grouping was disassembled and restored. Did the meaning or interpretation change with the bent arm? 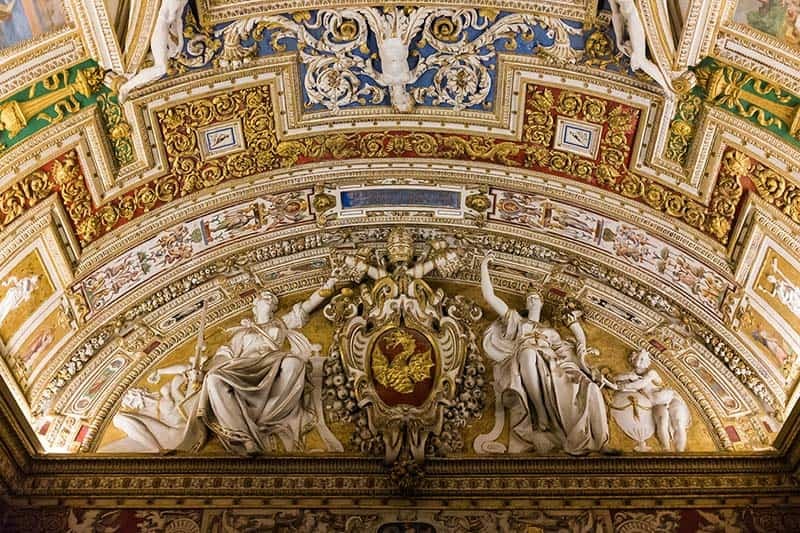 That’s up to scholars and lay observers to discuss, but it’s the work of the restoration labs at the Vatican Museums that makes those discussions possible. 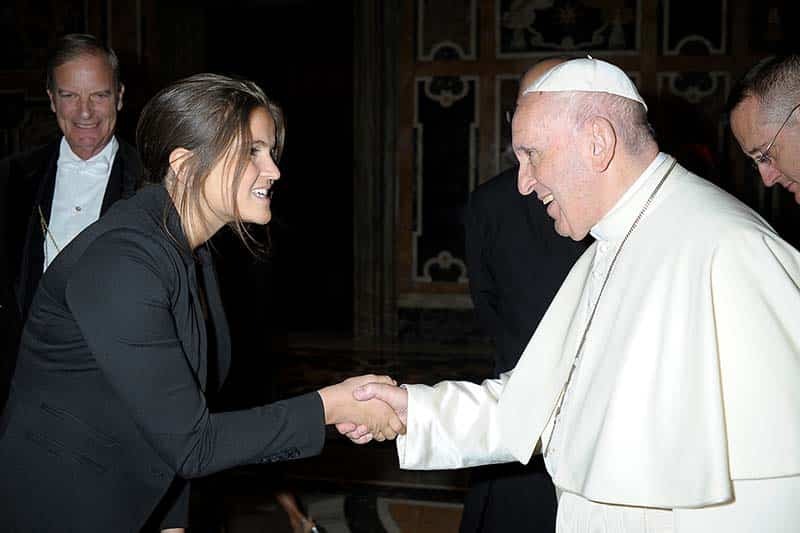 The gravity of that distinction came into full view for Bevacqua in October when Pope Francis asked to meet with the staff from her office, to thank them for their efforts. Bevacqua greeted Pope Francis in October, when he met with staff from her office to thank them for their efforts. 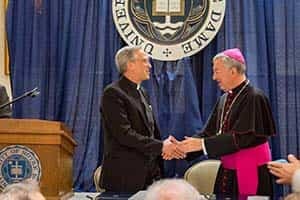 “Being raised Catholic in South Bend, Indiana, and attending Notre Dame, it’s another chapter of the Catholic experience, which in Rome takes on a very art-filled significance,” she says.